These owls will soon each have their own pages. 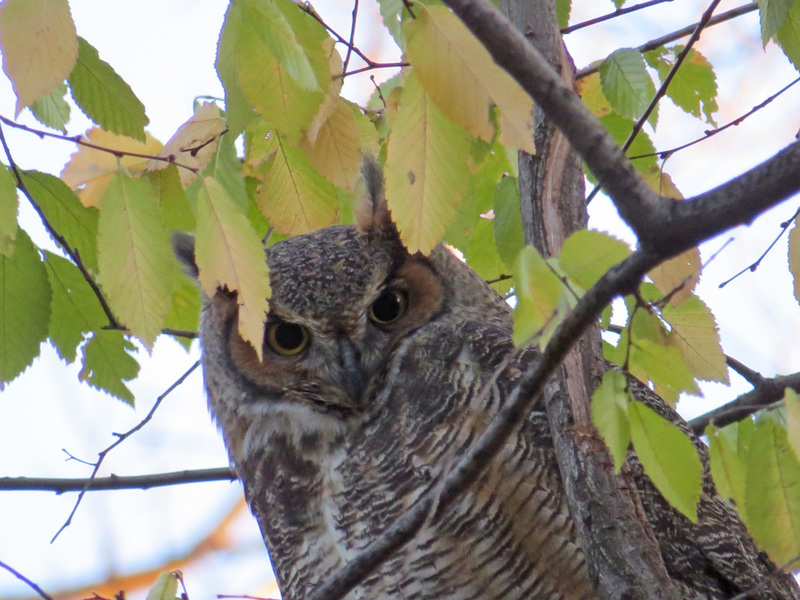 In the meantime, check out the saw-whet, long-eared and great-horned owls here, and the barred owls, snowy owls and eastern screech-owls on their own pages. 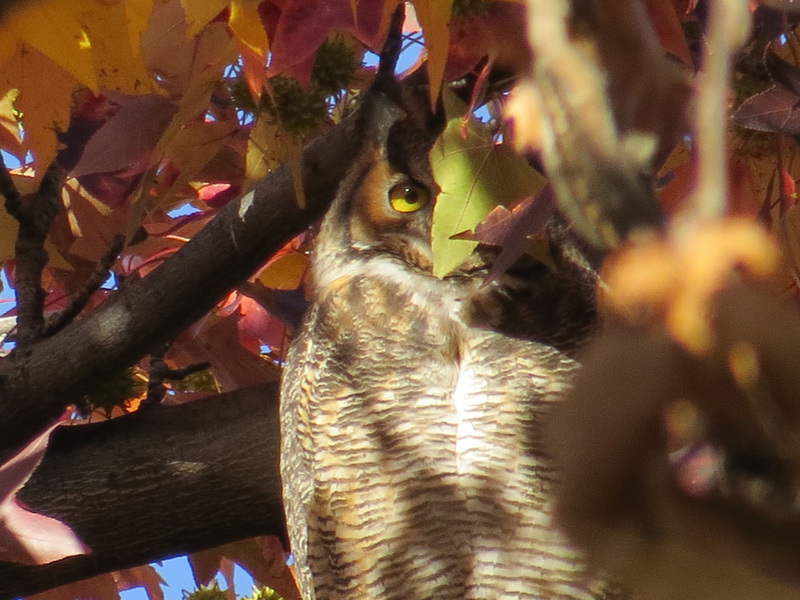 The first owl I saw in Central Park was a saw-whet, in April 2013. 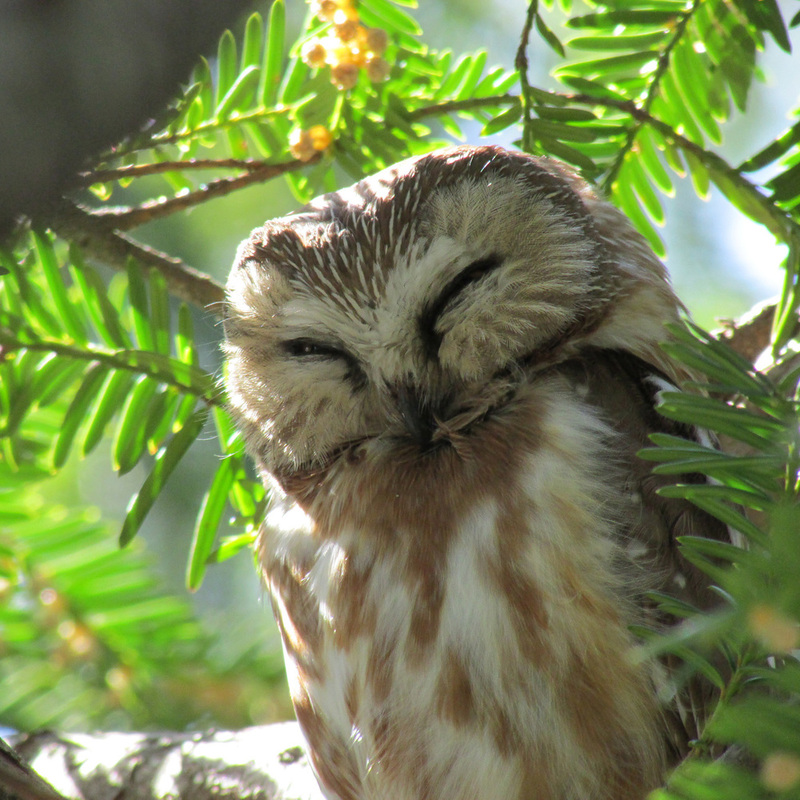 The next time I heard about an owl in the park was July 2013, when one was spotted high in a pine in the Pinetum. When I was told the owl's name, in my head I spelled it "B-A-R-D," and wondered why I couldn't find a reference to a "bard owl." 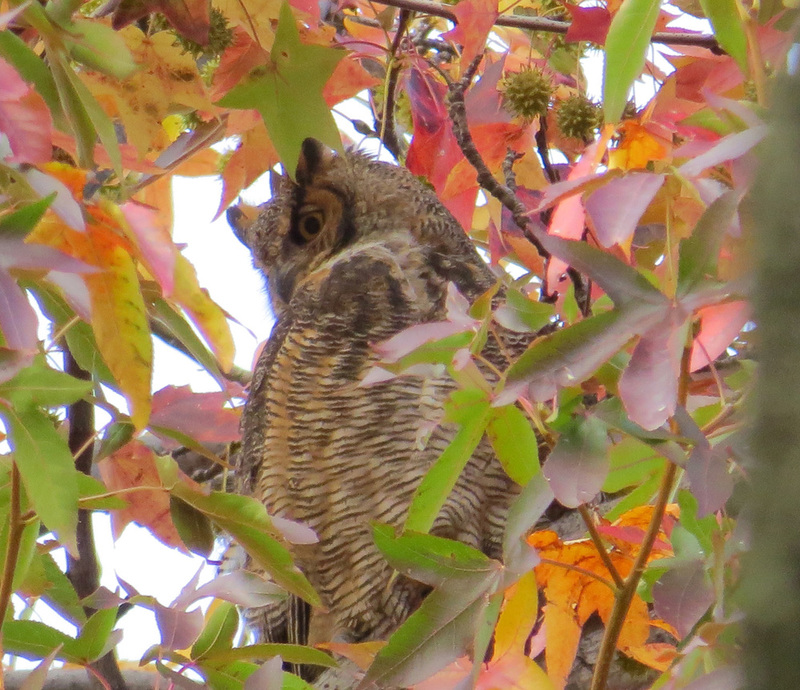 I finally figured out it was a barred owl, which made more sense. But I still think of this owl as the "poet" of the owls. 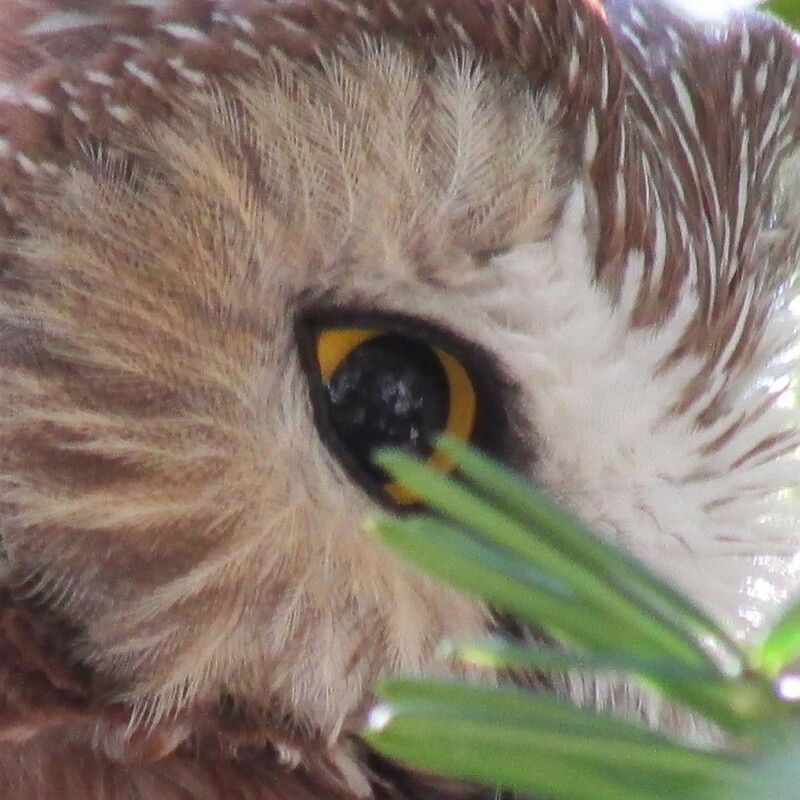 Barred owls now have their own page on this site, but I give you one photo here. 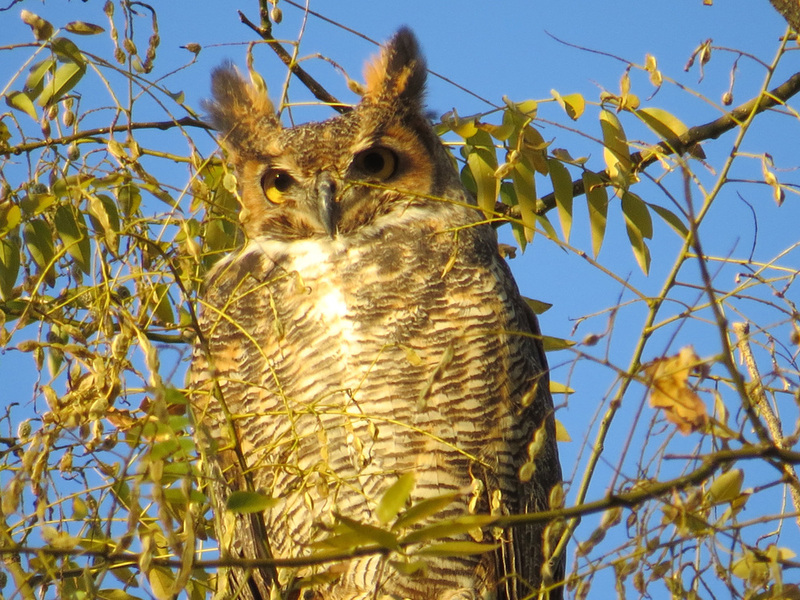 The great-horned owl on Jan. 4, 2016 (top left), Nov. 9 (bottom left), and Nov. 11, 2015. November 9, 2015, in the Ramble. 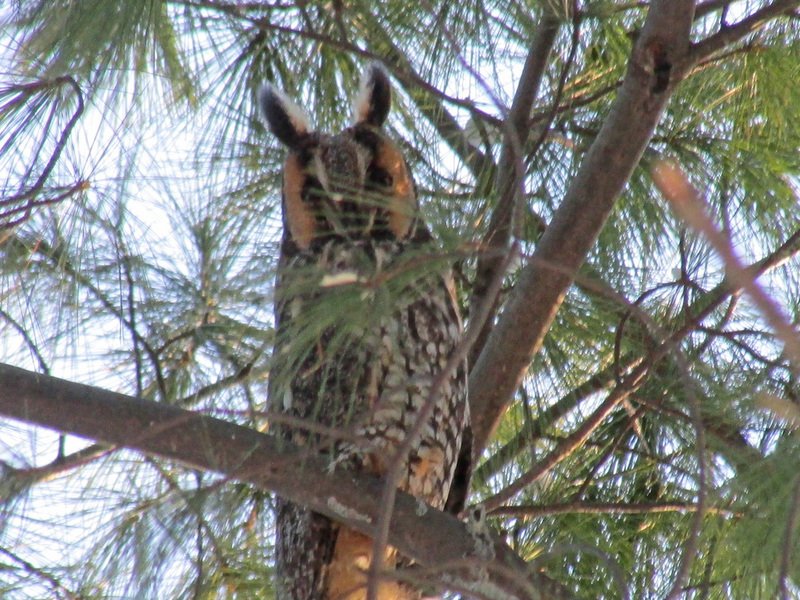 In January and February 2014, long-eared owls could be seen on Pine Hill and Pilgrim Hill. 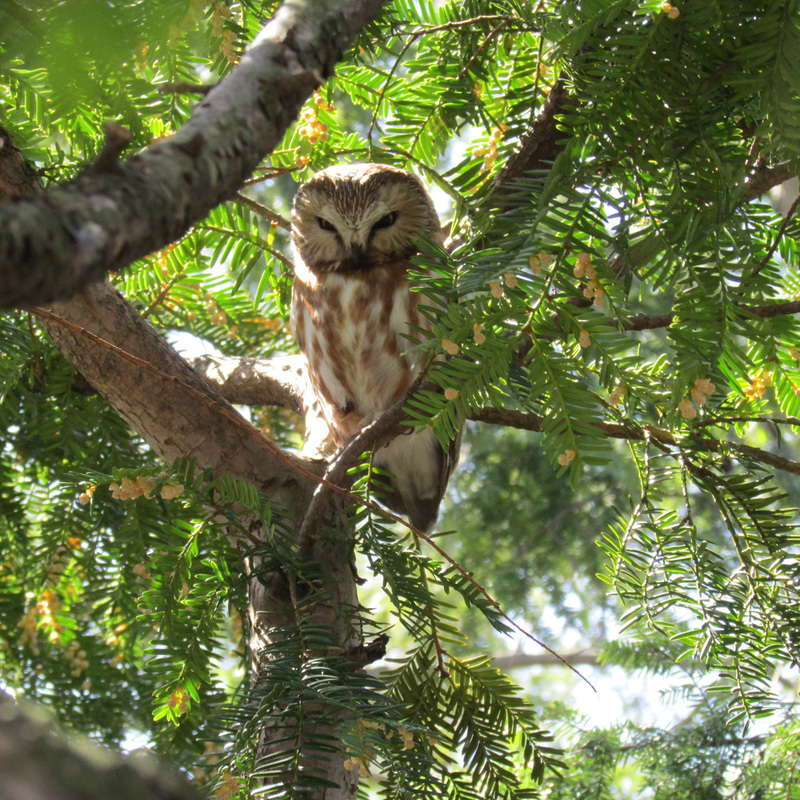 This saw-whet owl was photographed near Shakespeare Garden on April 9, 2013.